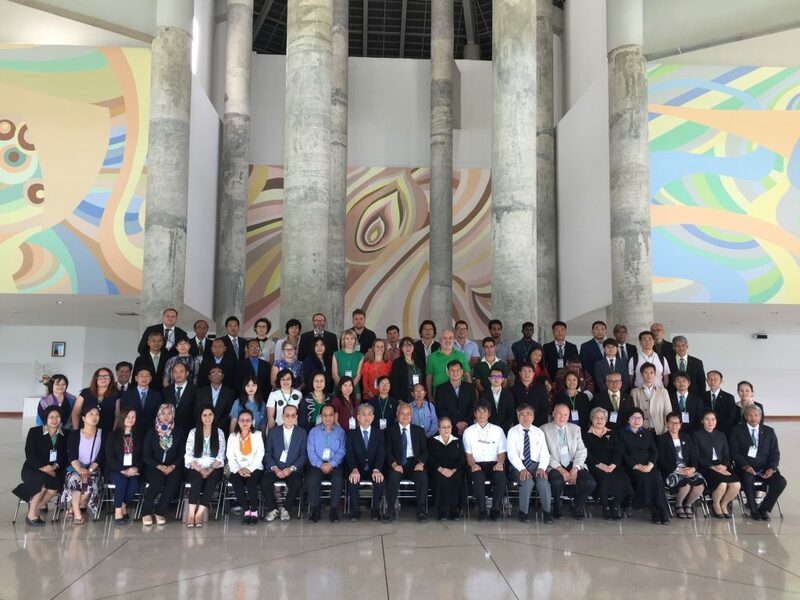 The APNAN (Asia Pacific Natural Agriculture Network) Committee Meeting 2018 was held in Thailand from November 11 to 14. Approximately 70 people from 23 countries gathered at the Saraburi Center to exchange their experiences on EM in agriculture, animal husbandry and environment. This time, they had special lectures by Prof. Higa, and presentations by an associate professor from Croatia, and by a staff of Greenland, our partner in Poland. Before the APNAN Meeting, Prof. Higa gave a lecture at Ubon province. General Pichate, devoted to promote EM Technology to improve the life standards of rural farmers, invited Prof. Higa to give a lecture. Enthusiastic audience including many EM farmers gathered to learn on the latest EM information. Afterward, Prof.Higa visited a rice paddy field in Ubon, and he met with many farmers to give technical advices.